I'm on the fence about this one. I LOVE Holly so much and was thrilled to write about it in Day 13 of the ongoing 30 Days of Zoya Challenge/Giveaway. 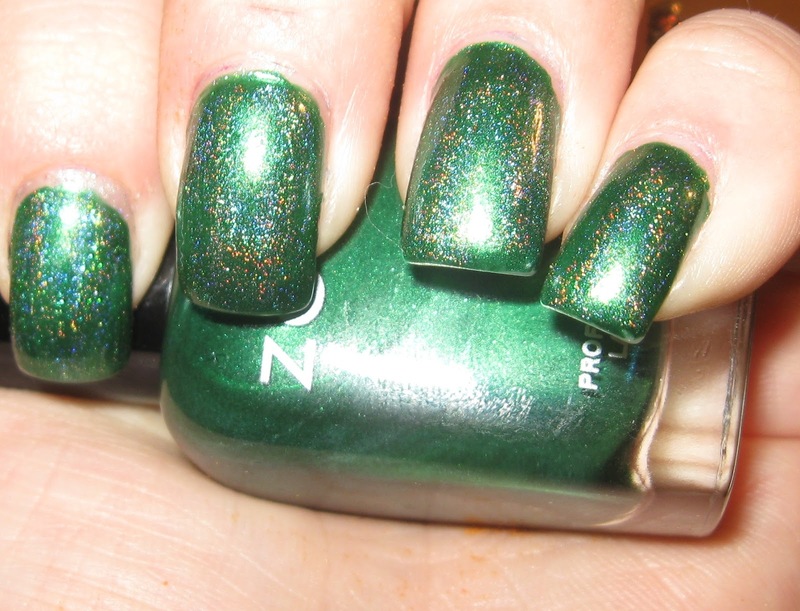 But I don't think this is as deep of a color as I would have liked, once I layered Shimmer over it. Perhaps I should have used a thicker coat? Or maybe Zoya Petra is just so showstopping, nothing can compare? I don't know. But it's not my favorite holo-fied shade. So it's back to the drawing board for next week. What did YOU think about Holo Holly? What would you like to see for next week? I think it's gorgeous holo'd. Would be an easy mani for Christmas.